Todd is a dynamic figure in the world of drumming today! Whether Todd is performing, recording, writing or teaching and performing clinics/workshops, his musical abilities are that of a true professional. Todd continues to make a name for himself in today’s drumming community. From live performances and studio sessions, his resume is very impressive. Originally from New Jersey, Todd began to play drums at age eleven. By age fifteen, Todd was playing professionally in a variety of live performances throughout the New Jersey/New York area. 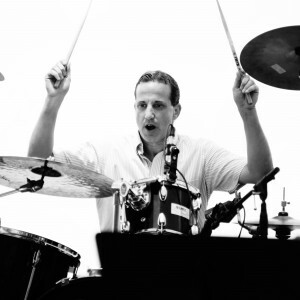 Todd spent extensive years of private studies with renown instructor Russ Moy and further studies with world famous drummer Ed Shaughnessy (former drummer for the Johnny Carson Show). Todd’s versatility as a musician soon had him in demand and performing in Atlantic City and the New Jersey/New York area. Todd’s styles of drumming can range from jazz, pop/rock, funk, fusion, country, progressive/odd-time, alternative, second line, rudimental/marching, and all situations and genres in between, which gives him a solid foundation to be called for any musical performance or recording-session in today’s most demanding times. During the annual Music West International Conference held in Vancouver, BC Canada in May of 1994. Todd was the first place winner in the Pearl Players Drum Challenge” featured in the open category. Todd then went on to perform with Chad Smith (Red Hot Chili Peppers) for the grand finale of the show, with the likes of, Zildjian, Paiste, Pearl, Sabian and various company representatives on hand to celebrate the conference. Throughbred Music’s Annual Drum Expo. 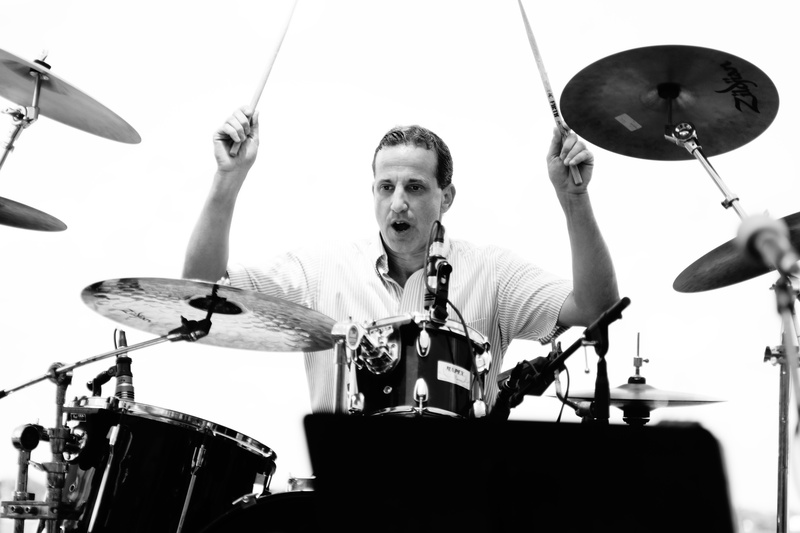 in Tampa, Florida gave Todd the opportunity to perform as a finalist in both the1993 and 1994 drum competitions. 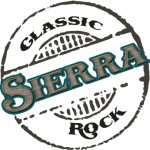 The judging panel included such greats as: Dave Weckl, Dennis Chambers, Marvin “Smitty” Smith and Dom Famularo. Todd has also performed in clinic for the “Russ Moy Drum Studio” in New Jersey with a presentation of the “1999 Lifetime Achievement Award” to respected Performers, Authors and Teachers, Jim Chapin and Sam Ulano. Modern Drummer Magazine has also featured Todd in the July 1995 issue, “On The Move” section. Todd is currently living in South Florida, and can be found in performances and studio/sessions throughout the state including: Gloria and Emilio Estafan’s Costa De Esta, Sunfest Music Festival, PGA National Jazz Concert Series, Jazz Showcase and the Breakers. 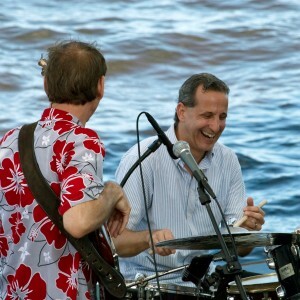 Todd has performed with various artists including, Clarence Clemons (Bruce Springsteen), Chad Smith (Red Hot Chili Peppers), Vinnie Burke (World Renown Jazz Bassist), Grayson Hugh (Movie Soundtracks, Solo Artist), Patti Wicks (Jazz pianist), Michael Tirsch (Percussionist, Discovery Channel), Michael Schudin (Keyboards/Jimmy Buffet), Gabriel Vivas (Bass/Nestor Torres), David Siegel (Piano/Nestor Torres), Adrien Re(Saxophone/Performer/Instructor FAU & University of Miami/University of Indiana Ball State), Pete Levine (Keyboards/LA and FL Sessions), Jerry Doyle (Saxophone Solo Artist/Nashville), and has shared the stage with Victor Wooten (Bassist for Bela Fleck) and Phil McArthur (Bassist/David Lee Roth/Nestor Torres/Solo Artist). Todd has also been called upon for numerous studio recording sessions at some of south Florida’s premier recording studios such as, New River Studios (Fort Lauderdale, FL), Echo Beach Studio (Jupiter, FL) and Southern Music Arts (West Palm Beach, FL). Todd has performed for the CNN Network and has had a video release on BET Network back in 1999, Todd also released his first solo cd entitled “Time Release”. Todd has also been active for the past 25 years with private drum instruction in his studio, “Todd Walker Drum Studio”. Due to his dedication and professionalism, Todd has established his name as the area’s most top drum instructor/clinician and performer. Todd is also very active with his home studio and recording drum tracks for a variety of clients. Todd has also been featured in the advertisement for “Power Wrist Builders” (practice metal sticks) in the April, 2009 addition of DRUM Magazine. These continued accomplishments, along with his playing ability and professional attitude has also earned Todd endorsements with some of today’s leading companies in the industry including, Vic Firth Sticks, Paiste Cymbals, Power Wrist Builders and, Pro-logix Practice Pads. Currently, Todd can be found performing in both the studio and on the scene with some of Florida’s most premier groups.